Well, the secret is out, and as a result, we are thriving because of you. Many have asked, “what’s next?”. More often than not, particularly after a winter that could only be described with a four-letter word—epic—friends and guests seek reassurance that Eagle Point Resort will remain “as is”. We take that to mean an escape that is quaint, an atmosphere relaxed, lift line free, friendly, and generally unspoiled among the most underappreciated and undeveloped mountains in the western United States. One of my favorite tag lines is “tell your best friends only.” Rest assured, we remain fiercely committed to improving the guest experience without compromising either the long-term future of the resort or what makes a visit to the Tushar Mountains so special. We will evolve but not change. Becoming a mega-resort is not our objective, in fact, it is quite the opposite. 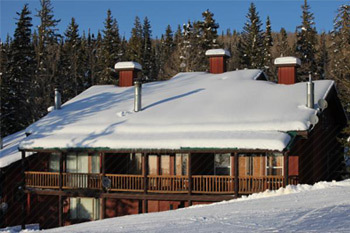 The resort’s ski-in/ski-out lodging was virtually sold out every weekend this season. Very few condos were available during the entire holiday stretch of 17 straight open days in December into January. As a result, a top priority is to continue expanding lodging options, including preserving reasonable overnight rates and accommodating large or multiple families. In the ski-in/ski-out neighborhood of Aspen Crest, the first phase of custom lots are selling well and construction is underway for turnkey Twin Homes which are available for reservation. The community will be a hub of activity during the summer months. In the meantime, the coolest benefit from being closed mid-week is the phenomenon of Powder Friday. Mother Nature delivered the perfect storm cycles this season for Powder Fridays at Eagle Point, with some weeks the snow piling up over 40” before first turns at 9:30AM. While every other resort was tracked out many times over, powder hounds were scoring freshies off Lookout Chair, giving new meaning to what guests call “steeper and deeper”. Noted Utah snow forecaster Evan Thayer made a Powder Friday visit and was beside himself: “Yesterday at Eagle Point was one of my favorite days of the season. Our first run was one of those where we got to the bottom, exchanged high-fives with strangers, and laughed disbelievingly at how awesome that run was. I love those moments!” Some of the most notable skiers in Utah make memories at Eagle Point too. The offseason installation of the snowmaking system was, of course, not just about securing an insurance policy for the rare sub-par snow season. Those who visited the terrain park this year experienced the fruits of our offseason labor with bigger, better and many more features within the expanded park courtesy of 8 new snow guns and our incredible operations team. We installed resort-wide Wi-Fi which, in addition to overall convenience, encouraged guests to share their memories on social media channels. The most common reply to those posts? “So jealous!”. 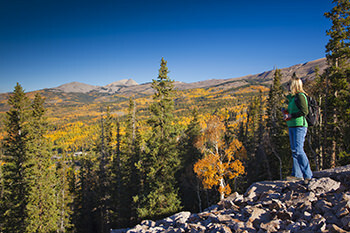 During the summer season, we’ll be extending the high speed internet connectivity beyond the lodges into the condo and cabin communities. We saw an increase again in guests bringing their friends and families to make memories from beyond Utah, including California, Nevada and Arizona. Texans are apparently loving Eagle Point now too. And that one guest from Maine who passed over approximately 137 resorts to get to Eagle Point—thanks for coming. According to data from Liftopia, guests from 40 different states purchased online tickets to Eagle Point this season. That stat along with the ever-increasing popularity of Las Vegas as a gateway has me really excited about long-term visitation trends from beyond our core markets of Utah, Nevada and southern California. Where do we go from here? 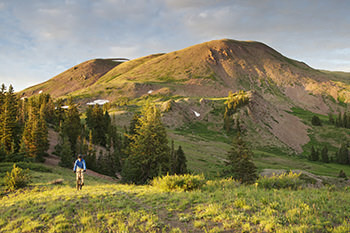 First, to summer when wedding parties and guests, folks escaping the heat, nature lovers, and mountain bikers will sojourn in our mountains and valleys as they make new summer memories to cherish and reflect upon. 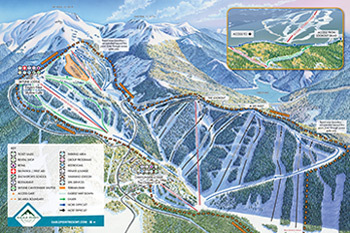 In the meantime, we’ll be exploring and master planning improvements to the winter guest experience—including potential lift and trail expansion and new ski-in/ski-out condominiums. Several new lot owners will become homeowners as they finish construction of their mountain dream homes. Buyers who don’t have the patience or interest to build a custom home will appreciate the Twin Homes we are building which will be move-in ready for next season. When my friend and I purchased the resort, I was admittedly nervous. There was not a “How to Run a Ski Resort for Dummies” book. The resort was in bad shape. State Highway 153 needed work. There certainly was no pond and infrastructure for snowmaking, and I knew building a pool in a backyard was tough enough. With a loving family, vast industry support and advice, valuable feedback from guests, and many lessons learned along the way, we find ourselves where we are today with the most appreciative guests in skiing and snowboarding making a dream a reality and establishing a community that will last. So, where do we go from here? For starters, let’s celebrate the 10 Year Anniversary of Eagle Point Resort next winter together!